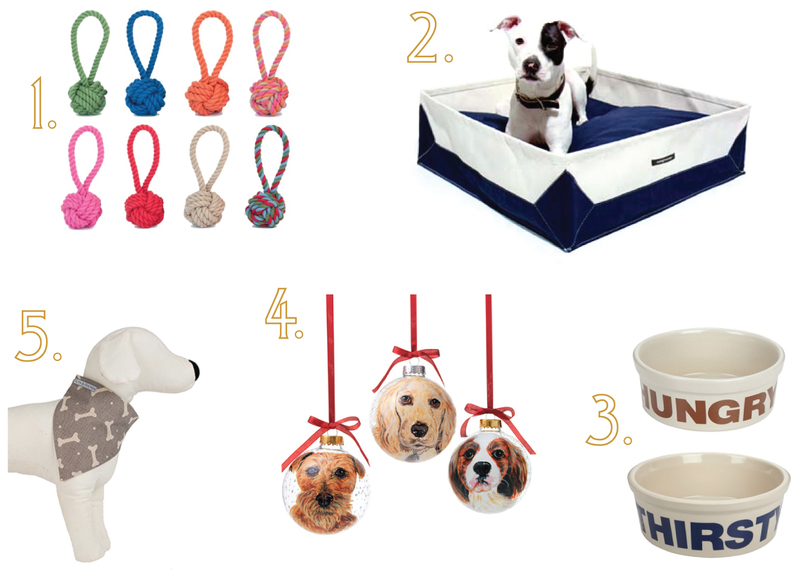 christmas gift guide: dog lovers | Is there any wine left? Our pups, Emmy Lou and Harris, are spoiled so of course they’ll have some surprises under the tree! 1. Rope Tug-and-Toss Toy – these toys are durable enough to withstand many, many rounds of tug-of-war and are colored with earth-friendly dyes. 2. Canvas Dog Bed – this bed comes in many colors and rolls up easily for travel. 3. Hungry and Thirsty Dog Bowls – this bowl is heavy enough to stay put while dogs gobble up their food. 4. Custom Pet Ornament – these hand-painted ornaments will be treasured for a long time. 5. Linen Neckerchief – for the pup with style, these neckerchiefs have velcro fasteners for secure and easy size adjustments. 1. Letterpress Correspondence Cards – these beautiful cards would make any hand-written note even more special. 2. FOUND Collar and Leash – FOUND’s products help support spay and neuter clinics in rural communities. 3. Fetch Stuffed Toys – made of cotton canvas backed by berber fleece, these stylish stuffed bones are filled with eco-friendly fiberfill made from recycled bottles. 4. Inubar Solar Lounge Bed – every pup needs a comfortable bed and every owner wants it to be beautiful – here’s a win-win. 5. 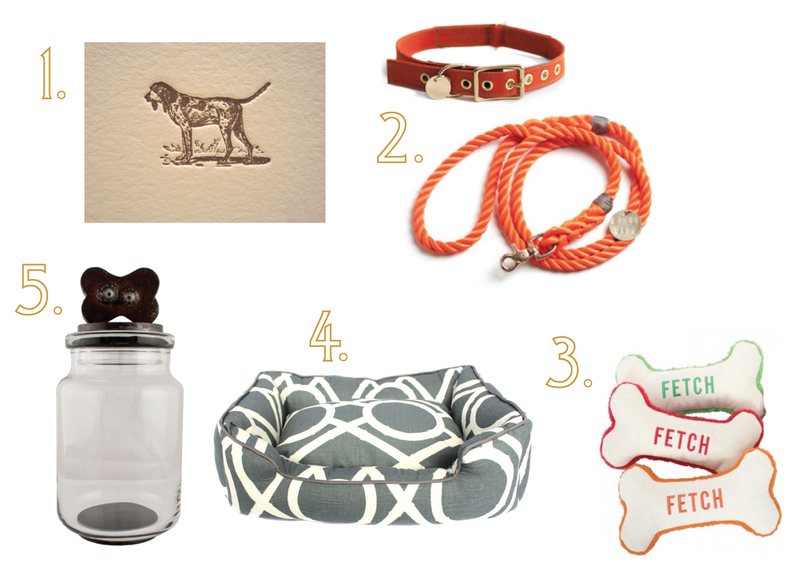 Jan Barboglio Treat Jar – store Fido’s treats in this beautiful iron and glass jar.